As we all know that Windows 7 comes with lots of new features and new keyboard shortcut as well.Microsoft has included many new keyboard shortcuts in Windows 7 which are unknown to many users yet. 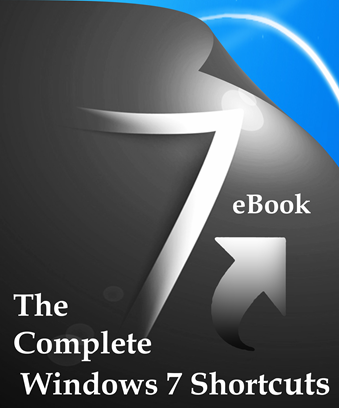 Nitin Agarwal has release “The Complete Windows 7 Shortcuts eBook”.This eBook contains more than 200 keyboard shortcuts.These shortcuts are available for Windows 7 and for its default programs like Paint, WordPad, MS Office, Calculator, Help, Media Player, Media Center, Etc. The eBook is bookmarks-ready, both in PDF and XPS format, with a fully linked content index.